Article 1: This law is formulated on the basis of the constitution so as to advance the regularization, specialization, and professionalization of procurators; to strengthen the management of procurators; to ensure that the people's procuratorates lawfully, independently, and justly exercise the procuratorate power; ensure procurators' performance of their duties in accordance with law; and ensure judicial fairness. Article 2: Procurators are the public employees lawfully exercising procuratorial powers in accordance with law. Article 3: Procurators must faithfully implement the Constitution and laws and serve the people wholeheartedly. Article 4: Procurators shall be diligent and conscientious, honest and clean, and abide by professional ethics. Article 5: Procurators receive the protection of law when performing their duties in accordance with law. Article 6: The Supreme People's Procuratorate leads the efforts of all levels of local People’s Procuratorates and specialized People’s Procuratorates; People’s Procuratorates at the levels above lead the efforts of lower level People’s Procuratorates. (5) Other duties provided by law. Article 8: The chief procurator, deputy chief procurator and Procuratorial Committee members shall, in addition to performing their procuratorial duties, also perform the duties corresponding to their position. Article 9: Procurators carry out work under the direction of the chief procurator,and the chief procurator guides and oversees case handling by the procurators under their command,with the chief procurator deciding on major case handling matters. As needed for case handling and as required to ensure justice, the chief procurators may take cases being handled by the procurators under their command to handle themselves, or may transfer them for handling by other procurators under their command. (2) Safeguard the procedural rights of litigation participants in accordance with law. (7) Other obligations provided by law. (2) to not have the lawful performance of procuratorial duties interfered with by administrative organs, social groups, and individuals. (3) to not be transferred, removed, demoted, or sanctioned for reasons other than those legally prescribed and in accordance with legal procedures. (5) To receive protection of law for security in their person, property, and residence. (10) Other rights provided for by law. (6) Have an undergraduate degree or higher in law from a full-time ordinary college and have received the rank of bachelor or higher; or have an undergraduate degree or above from a full-time ordinary college in a subject other than law, and have received master's degree in law or jurisprudence; or have an undergraduate degree from a full-time ordinary college, have received the corresponding degree, and have specialized legal professional knowledge. (7) have engaged in legal work for five years. In areas where there are real difficulties meeting academic requirements specified in item 6 of the first paragraph, upon review and confirmation by the Supreme People's Procuratorate, the academic requirements for procurators may be relaxed for a period of time to include bachelors degrees from colleges. (4) Those with other situations provided for by law. Article 14: New procurators are selected by means of both tests and evaluations, according to the criteria of both ability and integrity, from among those persons who have obtained legal professionals credentials in the the national unified legal professions qualification exam, and who have the requirements for becoming a procurator. The chief procurators of people's procuratorate shall possess legal knowledge and legal practice experience. Deputy chief procurators and procuratorial committee members shall be selected from among the procurators. Article 15: People's procuratorates may openly select procurators from those engaged in legal professions, such as lawyers and legal experts. In addition to having the requirements for serving as procurator and having received legal professional qualifications, lawyers participating in open selection shall have at least five years in actual practice and have a good reputation; legal experts participating in the open selection should have a title of lecturer or above, and have been engaged in teaching or research for at least 5 years, with outstanding capacity for research and outstanding research accomplishments. Article 16: Establish a Supreme People's Procuratorate Procurator Selection Committee, responsible for reviewing the professional ability of the Supreme People's Procuratorate procurator candidates. Provinces, autonomous regions, and directly governed municipalities are to establish procurator selection committees, responsible for reviewing the professional ability of new procurator candidates. The composition of the Provincial Procurators Selection Committee shall include representatives of each level of local people's procuratorate and relevant societal representatives, of whom not less than one-third shall be procurator representatives. The Provincial Procurators Selection Committee is to set up an office in the provincial people's procuratorate responsible for the daily work of the Procurators Selection Committee . Article 17: New procurators generally serve in the basic level procuratorates. Procurators of people's procuratorates at the municipal level or above are generally elected through the level-by-level selection method. The Supreme People's Procuratorate and the Provincial People's Procuratorate may select procurators from within the scope of the next two levels of people's procuratorate below. Procurators selected for the municipal and provincial people's procuratorates are generally to have served as procurators for five years or more in a lower people's procuratorate and have three or more years of work experience relevant to the position they are selected for; procurators selected for the Supreme People's Procuratorate are generally to have served as procurators in the lower people's procuratorates for eight years or more, and have five or more years of work experience relevant to the position they are selected for. Article 18: The appointment and removal of procurators is to be handled in accordance with the scope of appointment and removal authority and procedures provided for by the Constitution and laws. The chief procurator of the Supreme People’s Procuratorate is elected and removed by the National People’s Congress; its Deputy chief procurator, members of the procuratorial committee and other procurators are appointed and removed by request of Supreme People's Procuratorate's chief procurator to the Standing Committee of the National People's Congress. The chief procurators of each level of local people’s procuratorate are elected and removed by all levels of local People’s Congress, and their deputy chief procurators, procuratorial committee members, and other procurators are appointed or removed by request of the chief procurator to the Standing Committee of that level of People’s Congress. The appointment and removal of chief procurators of each level of local people’s procuratorate must be reported to people's procuratorate at the level above for approval to be requested from the standing committee of the people's congress at that level. The chief procurators, deputy chief procurators, and procuratorial committee members, and other procurators of provincial, autonomous region, or directly governed municipality people’s procuratorates are appointed or removed by request of the provincial, autonomous region, or directly governed municipality people's procuratorate's chief procurator to the Standing Committee of that level of People’s Congress. The appointment and removal of chief procurators, deputy chief procurators, procuratorial committee members, and other procurators of all levels of people's procuratorate of the Xinjiang autonomous region Construction and Production Corps, are to be in accordance with relevant provisions of the Standing Committee of the National People's Congress. 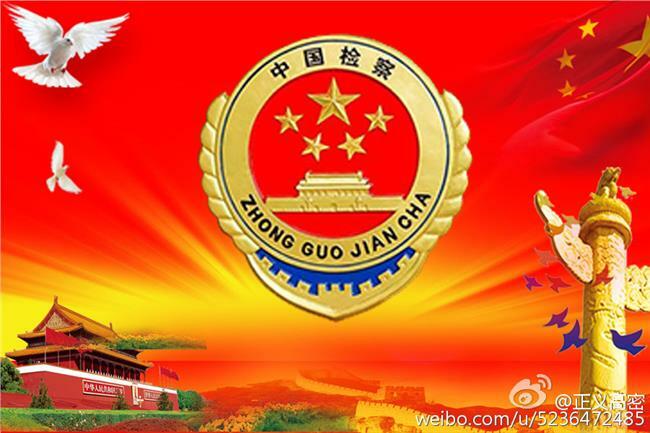 The appointment and removal of chief procurators, deputy chief procurators, procuratorial committee members, and other procurators of all levels of people's procuratorate of the special procuratorates, are to be in accordance with relevant provisions of the Standing Committee of the National People's Congress. Article 19: After procurators are selected in accordance with legally-prescribed procedures, they shall take a constitutional oath when taking office. Article 20: The term of office of chief procurators of people's procuratorates is the same as that of people’s congress delegates that produced them and they must not serve more than two consecutive terms. (8) Where they cannot continue to hold offices due to discipline violations, illegalities or crimes. Article 22: Where those who do not posses the legally-prescribed requirements or who violate the legally-prescribed procedures are selected as chief procurators of people's procuratorates, the people's procuratorate at the level above has the right to request the standing committee of the people's congress not approve it. Article 23: Where a procurator is appointed in violation of the provisions of this Law, the organ that made the appointment shall revoke the appointment once it is discovered; where a higher people's procuratorate discovers that the appointment of a procurator in a lower people's procuratorate violates the conditions set forth in this Law, it shall request that the lower people's procuratorate to request that the Standing Committee of the people's congress at the same level revoke the appointment in accordance with law. Article 24: The Standing Committee of the National People's Congress and the standing committees of provincial, autonomous region, or directly governed municipality people's congresses may dismiss and replace lower level people's procuratorates' chief procurators, deputy chief procurators, and procuratorial committee members, on the basis of the recommendation of the recommendation of the chief procurator of the people's procuratorate at their level. Article 25: Procurators must not concurrently serve as a member of the Standing Committee of a People's Congress and must not concurrently serve in a position at an administrative organ, trial organ, enterprise or public institution, or at another for-profit organization, and must not concurrently serve as lawyer, arbitrator or notary public. After the procurator is approved, they may concurrently engage in teaching and research in universities and research institutes. (4) the chief procurator or deputy chief procurator in people's procuratorates at adjacent levels. After procurators leave the people's procuratorates they must not serve as an agent ad litem or defender in a case handled by the procuratorate where they served, except where they are a party's guardian or being the agent ad litem or defender for a close relative. After procurators are dismissed, they must not serve as an agent ad litem or defender, except where they are a party's guardian or being the agent ad litem or defender for a close relative. (2) As a lawyer,serving as an agent ad litem or defender in the jurisdiction of the people's procuratorate where the procurator serves, or providing other paid legal services to parties in case proceedings. Article 29: The personnel ratio of procurators is determined on the basis of factors such as the level of people's procuratorate, the case volume, as well as the economic and social development situation and population. The personnel ratio of procurators for all levels of local people's procuratorate is subject to total volume control and dynamic management in provinces, autonomous regions, and directly governed municipalities. Article 30: An independent job sequence administration is carried out for procurators. Procurators can be divided into twelve levels, as follows: (1) Chief Procurator; (2) first level grand procurator; (3) second level grand procurator; (4) first level superior procurator; (5) second level superior procurator; (6) third level superior procurator; (7) fourth level superior procurator; (8) first level procurator; (9) second level procurator; (10) third level procurator; (11) fourth level procurator; (12) fifth level procurator. Article 32: The determination of procurators' rank is based on their showing of integrity and ability, their professional skill level, their years of procurator practice and work, and so forth. Procurators are promoted through a combination of regular periodic promotions and selective promotions, and procurators who are exceptional or that are especially needed for work may be specially selected for promotion. Article 33: The set up and confirmation of procurators' ranks, and measures for their promotion, are to be provided for elsewhere. Article 34: A uniform system of pre-career training is to be carried out for new procurators. Article 35: Training in theory and operations shall be systematically carried out for procurators. Procurators' training is to implement the principles of linking theory with practice, teaching according to needs, and stressing practical results. Article 36: Procurators' training is to be one of the bases for their serving as a procurator and promotion. Article 37: Training institutions for all levels of procurator are to follow the relevant provisions in undertaking the task of training procurators. Article 38: Procurator's applications to resign shall be submitted in writing by themselves. (5) Where they do not perform the legally prescribed duties of procurators and refuse to make corrections after education. Article 40: Discharge of procurators shall be in accordance with the scope of management authority. Discharged procurators shall be informed in writing of the discharge decision. Article 41: Where procurators are determined to be incompetent in annual evaluations, they shall be demoted. Article 42: Demotions of a procurators shall reduce their rank by one level. Where demoted procurators work for one year or more with outstanding integrity, ability, and work performance, they may be promoted upon evaluation that they meet the requirements for promotion. Article 43: People's procuratorates are to establish procuratorate evaluation and review committees responsible for evaluation and review work in that procuratorates. Article 44: Procurator Evaluation and Review committees are to have 5-9 members. Article 45: The evaluation of procurators shall be comprehensive, objective and just, and should be combined with ordinary evaluations and annual evaluations. Article 46: Content of procurators evaluations includes: Actual procurator work performance, professional ethics, professional skill level, ability to work, and work style. Actual procurator work performance is to be the key consideration. Article 47: The annual evaluation results are divided into four grades: outstanding, competent, basic competence, and incompetent. Evaluation results are the basis for adjusting procurators' rank and salary, and for rewards and punishments, training, removal, demotion,or dismissal. Article 48: Procurators are to be personally notified in writing of evaluation results. If procurators have objections to the evaluation outcomes, they may request a review. Article 49: Procurators having notable achievements or contributions in trial work, or have other outstanding deeds, are to be rewarded in accordance with the relevant provisions. Rewards for procurators are to implement the principle of combining emotional and material encouragement. (3) Having a recommendation for procurator work reforms accepted, with noticeable effect. Article 51: Awards are divided into: Accolades, class 3 merit citation, class 2 merit citation, class 1 merit citation, and granting of honorific titles. The scope of authority and procedures for awards are to be handled in accordance with the relevant provisions. (10) other conduct in violation of discipline or law. Article 53: Sanctions are divided into: Warnings, demerits, major demerits, removal, and expulsion. Article 54: Procurators must not be promoted during the punishment period, and punishment periods are not included into the period of service for promotions. Where procurators receive demerits, major demerits, or removal, their wage level must not be increased, and punishment periods are not included into the period for salary increases. The periods for punishments are: Warnings: six months; demerits: twelve months; major demerits: eighteen months; removal: twenty-four months. Article 55: Sanctions shall be implemented in accordance with the scope of authority and procedures provided, and the sanctioned procurators shall be notified of sanction decisions in writing, setting out the reasons for and basis of the decisions. Article 56: Where procurators violate the law and discipline and a case and investigation have begun, making it inappropriate for them to continue performing their duties, the performance of their duties may be suspended in accordance with the procedures and scope of authority provided. Article 57: The Supreme People's procuratorate and provinces, autonomous regions, and directly governed municipalities, are to establish Procurator Disciplinary Committees responsible for reviewing and determining whether procurators have conduct in violation of item 5 of article 52 of this Law which violates procurator duties and submitting and opinion that an intentional violation of duties is constituted, that there was gross negligence, that there is ordinary negligence, or no violation; and the people's procuratorates are to make a decision on sanctions in accordance with relevant provisions, and make relevant handling. The Procurator Disciplinary Committee is to consist of procurator representatives and other societal representatives, with procurator representatives making up at least half. The Provincial Procurators Disciplinary Committee is to set up an office in the provincial people's procuratorate responsible for the daily work of the Procurators Disciplinary Committee . Article 58: People's procuratorates are to establish a committee for the protection of procurators' rights and interest, ensuring procurator's lawful performance of duties. Article 60: Administrative organs, social groups, and individuals must not interfere in procurators' lawful handling of cases, and must not request that procurators to engage in activities that violate their legally-prescribed duties. Procurators have the right to refuse conduct interfering with their handling of cases and shall record it and the relevant organs are to pursue responsibility of the perpetrator on the basis of the severity. Article 61: Procurators and their close relatives must not be retaliated against by any units or individual. Unlawful and criminal acts of retaliation by making false charges, insults and defamation, or violent encroachment on judicial personnel and their close relatives shall be severely punished in accordance with law. Article 62: Where procurators are falsely reported, maliciously accused, or demeaned and defamed, causing harm to their reputation, the people's procuratorates shall join with the relevant departments to promptly clarify the facts, dispel negative impacts and pursue the responsibility of relevant departments and individuals. Article 63: Where during the handling of cases, procurators and their close relatives face physical danger, personal protections, restrictions on certain people having contact with them, and other necessary measures shall be employed for the procurators and their close families. Article 64: A wage system appropriate to procurators and their duties is to be carried out for procurators, in which they enjoy the salary and welfare benefits provided by the state in accordance with their rank, and a mechanism for salaries increases in step with those for civil servants is to be established. The procurators' wage system and wage standards, are to be provided for separately and based on the characteristics of trial work. Article 65: A system of regular wage increases is implemented for procurators. For those identified as excellent or competent in the annual evaluations, salary levels may be increased in accordance with provisions; where there are special contributions, salary levels may be increased early. Article 66: Procurators enjoy allowances, subsidies, bonuses, insurance and welfare benefits as prescribed by the state. Article 67: Where procurators are disabled, they enjoy disability benefits as provided for by the state. Where a procurator is killed or dies in service, their relatives enjoy the bereavement benefits and preferential treatment as provided for by the state. Article 68: The retirement system for procurators is to be provided for separately and based on the characteristics of trial work. The Procurator Review and Evaluation Committee is to be headed by the chief procurator for that procuratorate. Article 69: After procurators retire, they enjoy pension insurance and other benefits as provided for by the state. Article 70: Where procurators are dissatisfied with the handling of any of the following personnel matters involving themselves, they may apply for a review to the organ that handled the matter within 30 days of receiving the disposition decision; and where they are not satisfied with the outcome of the review, they may follow procedures to make an appeal to the organ at the level above the on making the decision within 30 days or receiving the review decision. (8) Other situations that laws or regulations provide may be subject to an complaint petition. The original organ handling the matter shall make a review decision within thirty days of receiving the application for review. The organ accepting a procurator's complaint appeal shall make a decision within 60 days from the date of acceptance of the case; where the case is complicated, the organ may extend the time limit appropriately, but the extension of time must not exceed thirty days. The enforcement of personnel decisions is not stopped during reviews and complaint petitions. Article 71: Where state organs or their staff have conduct violating the rights of procurators provided for in article 11 of this Law, procurators have the right to make an accusation. Where administrative organs, social groups,or individuals interfere with procurators' lawful exercise of their authority, they shall be pursued for his responsibilities in accordance with law. Article 72: Procurators' complaint petitions and accusations shall be true to the facts. Procurators complaint petitions and accusations shall be true to the facts. Article 73: Where there are mistakes in sanctioning or handling procurators, they shall be promptly corrected; where it causes reputational harms, their reputation shall be restored, the impact eliminated, and a formal apology given; where it causes economic harms, compensation shall be made. The personnel directly responsible for retaliation shall be pursued for responsibility in accordance with law. 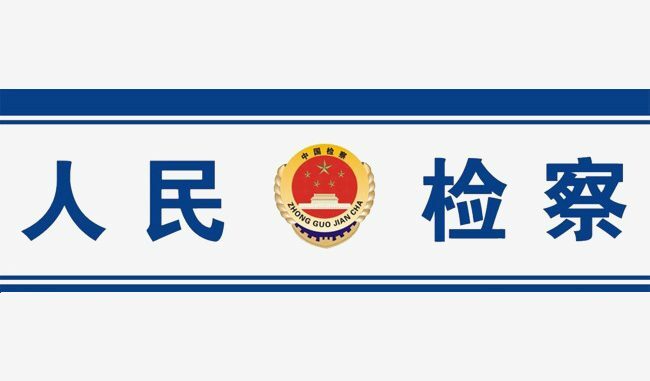 Article 74: The state implements a uniform legal professional qualification examination system for new procurators that is organized and implemented by relevant departments judicial administration under the State Council through discussion with the Supreme People's procuratorate and other relevant departments. Article 75: Where this law has no provisions, apply the laws and regulations on the administration of public officials. The estimated value for a full translation of this post is $487.74 USD at the below-market rate of $.06 per character, with 7,479 characters.